The "Let's Sing!" 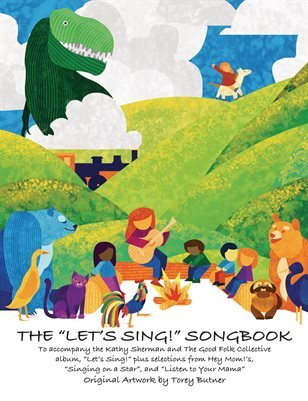 Songbook is a delightful collection of classic American folk songs and enchanting illustrations, complete with easy guitar/ukulele chords. The songs are from Kathy Sherman and Good Folk Collective's children's CD, "Let's Sing" as well as selected music from Hey Mom! 's two CDs: "Singing on a Star" and "Listen to Your Mama". All songs can be found on iTunes, Amazon, and CD Baby.